This is THE list if you are packing for small creatures. 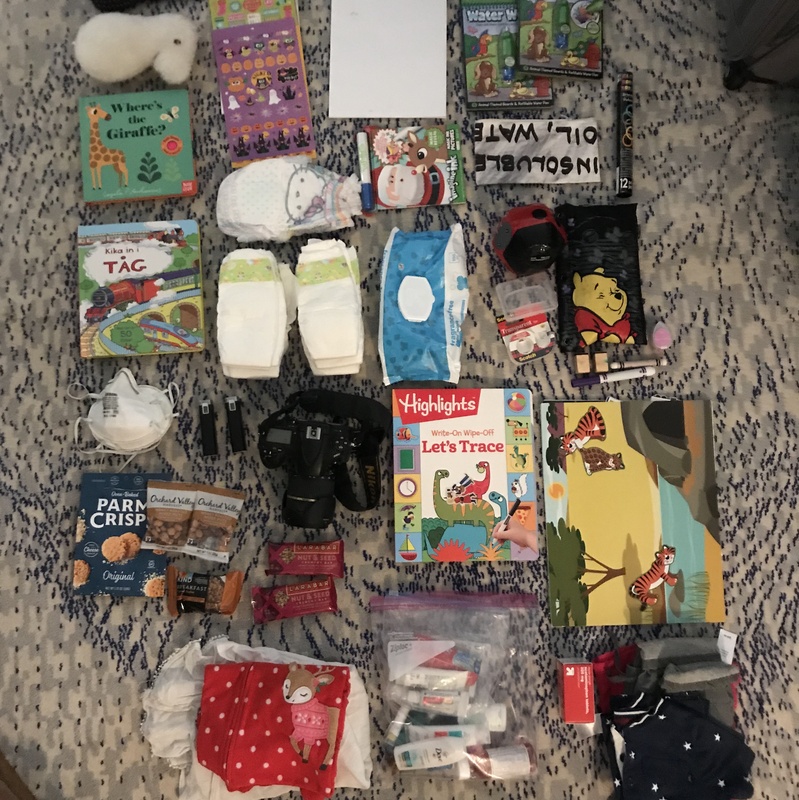 I’m still working on packing lists for different ages, though for you, I got you covered for a one year old baby and a 3.5 year old toddler. The list is long, but it covers everything I could think of when packing. Everything. There are definitely items that are annoying to carry (extra medicine mainly) but you never know when you’ll need them. And of course if you don’t pack them, you’ll absolutely need them! I included my favorite toys, essentials like diapers and wipes, medicine, extras, clothes and safety. You will need to think of the type of weather and location to make final decisions. Rainy weather = rain boots and raincoats. Winter weather = legging layers, snow boots, gloves, hat. You get the idea. I use this packing list as my guide when traveling internationally to India and Sweden, but you can apply it anywhere for young children. DOWNLOAD THE CHECKLIST PDF! Easy to print checklist for you. Toddler rolling back – optional but can be fun. Be prepared when toddler is tired, you will have to carry the bag. Favorite stuffed toy – if your kid has one, take it! 2 wipes packages (75 count) = I prefer two packages instead of giant package because if I lose the giant package, I have no more wipes! Fresh fruit – this will help you on the first leg of the journey when fresh fruit is at a premium at 38,000 feet. Blueberries, bananas, and mandarin/clementine oranges are the least messy. Bars – Larabar, granola bar, nature’s bar…whatever your children love. Animal crackers – this is treat and a BIG hit for both kids. Baby food pouches – even if your kids are no longer into those fruit, veggie pouches, take some! You never know when you will need them and you never know when there is a dearth of food options. I pack 6 pouches for a 36 hour door-to-door trip (three pouches/kid). Candy – no, stop it. I know you and the children are going on a special trip but the last thing you need to do is offer sugar to them. There is nothing worse then giving young children a sugar high and no where to run it off! If you must, pack the candy for yourself in your purse. The list below is a total hit or miss. If your children are not sick, then all is well and you do not need anything from below. If they get sick while traveling or are already sick, well, best to have everything with you! Remember, once you are on the plane, no one is giving you baby medicine to deal with fevers, coughing, etc. I am excluding all parent packing here and focusing on the kids only. Consider how many days your trip is (including travel time) and whether you will have access to laundry. Baby seat – if your younger one needs assistance at sitting at the table. I love the Fisher Price portable one. It does take up space in the suitcase though! 3-5 small, favorite books – pick books your kids love and ones that you will tolerate for the entire duration of the trip. Seriously. Extra Duplo – so they can keep building! Inflatable balls – compact and will endlessly entertain your younger one. Baby diapers – Count 5 diapers/day x days of the trip. Add 3 days extra of diapers in case of delays or heaven forbid, illness! Wipes – We average 15 wipes/day (yes, I have counted), but it depends on your usage. Wipes are usually easy to find and if you do not have any, wet paper towels work just as well. Extra snacks – for the trip home and back up on your travels. For your toddler, let him/her help with choosing clothes. You will of course finalize the items, but let them pick their favorite tops, bottoms, undies and socks. They will be thrilled and they get to be part of the process. This is also a great learning and development opportunity for them (very Montessori friendly), don’t miss out on it. Previous PostPrevious Where Have I Been?